The default approach to resolving issues relating to customer service is to respond to problems when they arise. This reactive approach may satisfy the customer, but it most likely will not enchant them. In fact, many unhappy customers will not call to complain,they will simply take their business elsewhere. Instead, imagine resolving problems before they take place. Or better yet, think about being able to address the issues before customers become aware that there is a problem in the first place. This approach, which is a proactive approach, is not only viable but possible as well. A recent survey conducted by Enkata found that being productive and proactive can reduce call volume by as much as 30%. As well, the survey found that this approach increases customer retention rates by 3-5%. So how do you go about in being productive? What actions will you have to take in order to employ a successful, proactive customer service strategy? Here are 5 tips to follow. Many customers hope to find answers to their inquiries on their own, as opposed to them having to call or email a company for support. This means that if you make helpful information difficult or impossible to locate, you’re depriving yourself of a valuable opportunity to satisfy customers. A good place to start – create an FAQ page on your website. Include a link to the page below your signature in every correspondence you have with customers and prospects. If you’re not paying attention to what your prospects and customers are saying about you online, you’re missing out on the opportunity to resolve conflicts before they escalate. Reaching out to customers who mention your company, be it good or bad, allows you to pre-emptively address their needs and enhance their experience and satisfaction. Anyone who spends a day in an office environment knows you’re almost guaranteed to hear at least one staff member complain about the limitations of their tools, whether it’s a slow desktop PC or an application that doesn’t have the features they expect. Today, it’s much easier to give employees more choice about how they do their tasks without compromising on company policies. All you need is a powerful CRM that documents every conversation, every job order, or customer request. The ability to access the most up-to-date information is essential for employee productivity. Adopting cloud solutions gives employees access to key applications and the most recent versions of documents, no matter where they are located. You more than likely hired people for different functions, such as technical supports, sales, customer service etc. But if these people don’t collaborate, your customers may not receive the service they expect. Imagine how much better your products and services could be if sales tells technical support agents what customers are asking for and customer service shares the most frequent customer complaints with the rest of the staff. Such cross-functional collaboration could result in new productivity that boosts sales and increases customer satisfaction, which translates to more streamlined operations, increased productivity, and increased profits. Do you find it hard to find quality prospects on Twitter? Do you want a better way to engage you followers in order to increase your Twitter ROI? Twitter is an ideal social media platform that gives you access to a targeted audience and relevant conversations but first you have to cut through the line. Collectively, its home to more than 500 million active users and 1.6 billion search terms every day. That’s a lot of people and some of them simply have to be potential buyers. Twitter is a noisy platform that relies on real-time news and information for growth and engagement. As a business owner who wants to stay afloat in an ultra-competitive industry, you know how important it is to have conversations with the right people. But finding the right people and starting those meaningful conversations on Twitter is challenging when there are millions of tweets being sent every hour. The principle of hashtags is to create a clickable link to a threaded conversation around a certain topic. They also are used when searching social networks, so you can track such things as conferences and events. By using Twitter wisely, you can take part in the most relevant conversations as they happen, spot opportunities before your competitors do, build relationships, deepen customer trust and make a name for yourself. There are as many hashtags as there as tweets but the difference is that you can use hashtags to filter out the tweets that aren’t relevant to you. How do you know which hashtags to use and follow? Does your research using quality Twitter marketing tools, such as HashAtIt.com and Hashtagify.me . Spend some time talking to experts who know your customers best; that is customer service reps, sales representatives and account managers who have Twitter accounts and are actively using it to find prospect. Make a list of the most commonly asked questions or challenges voiced by your customers and other individuals interested in your services/products. If you notice that your current customers and prospects have the same set of questions or challenges, create an FAQ page on your website and share it on Twitter. It is likely those issues are common throughout your industry. It is a safe bet there are more than a few Twitter conversations around those issues. With your list of pain points typed up and pinned to your office wall, you are ready to find relevant hashtags. Don’t try to reinvent the wheel. There are hundreds of hashtags already in place that you can watch and use. To discover relevant hashtags, search for keywords related to the conversations, questions and issues you want to find. The easiest way to do that is by using the search function at the top of your Twitter homepage. Carmel Vision, a Toronto based CRM software development company, is focused on delivering a powerful management infrastructure that is designed to collect, search, and archive all content, contact and communication activities that take place in a typical office. 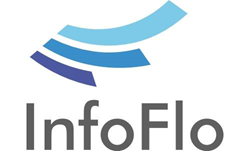 Customers are drawn to our InfoFlo software because they are tired of spending effort trying to “figure out” the complexities of traditional Customer Relationship Management software products. Traditionally customers are stuck deciding between an overpriced, feature rich CRM or a cost conscious CRM with very limited functionality. With InfoFlo contact management system you can have the best of both worlds and get a feature rich CRM at price point that is fair and also includes free upgrades for life. Share this article on Twitter by hashtagging #CRMSoftware. Don’t forget to also follow us on Twitter. Yesterday, I was talking with a good friend of mine about email marketing and our conversation wandered into the topics of email, spam and why people don’t read your emails. Now sitting at my desk writing this blog it got me thinking… what would change this? Here are 6 tips, tricks and points of advice to reengage your bored and tired email marketing recipients. 1. Stop speaking about your list. Stop speaking about who is subscribed to your lists. Write as if you’re emailing one person only. It instantly makes your email marketing campaigns more personal. 2. Be practical. Don’t email only when you need something from your readers. Be helpful. Be generous. Be friendly. Offer them tips, advice, and anything that can help them become informed decision makers. 3. Be trustworthy. Let people know what to expect. Yes, sales messages should be part of your email marketing, that’s fine. Just be clear about it what happens when they sign up. Many times businesses include these messages in the fine print and customers often learn about them after they’ve signed up; frustrating them as a result. 4. Establish success criteria. This is an important aspect of an effective email marketing campaign. Write down a couple of goals you would like to achieve at the end of the campaign. Monitor these goals using metrics and analytics. Before you send the next email marketing blast, go over the success criteria of the previous blast, see what has worked and what has not, and adapt your future campaigns based on the results. 5. Give, Give and Give More… without Expectation of Return. Members of your email list have gifted you with their attention. Honor that attention. Your responsibility is to ensure they receive value from your email. When you focus on giving useful, relevant and actionable advice you’ll be gifted with more of their attention in the future. 6. Think about mobile. If a campaign doesn’t show up on mobile devices, it’s not going to perform well and you will not be able to attain your success criteria. Everything you send should be mobile-friendly. According to the study, 63 percent of Americans and 41 percent of Europeans would either close or delete an email that’s not optimized for mobile. Might be time to start using a responsive template, if you have not done so already. Create, Run, and manage email marketing campaigns with the click of a button. InfoFlo CRM Software will allow you to drill down into each email campaign and provide you with real-time analytics. If you use the Internet for most of your work day and have yet to adopt task and project management tools into your workflow, or if you’re a business owner and haven’t set up your employees on a task management system, it’s time to seriously consider doing so. In a study done by University of Hamburg researchers it was confirmed that the focus afforded to our flighty minds drops from minutes to seconds when afforded with the opportunity to surf on the internet. According to statistics verified by The Associated Press, our ability to pay attention while online has dropped to less than 8 seconds in recent year. The first step to making productive use of your time is to find out how you and your employees are presently spending it. Keeping a time log is one effective way to do this. After trying it out for one week, you’ll immediately gain insight into where your time is actually going. The act of measuring is often good enough to lift you and your staff’s unconscious habits into your conscious, where you then have a chance to dissect and examine and then change them. Here’s how to keep a time log. Throughout the workday keep a record of the time whenever you start or stop a task. Consider using a stopwatch to keep track of the intervals. At the end of the day, sort all the time chunks into categories, and find out what percentage of your time is being spent on each task. If you want to be thorough, do this for a week, and calculate the percentage of your total time that you spent on each type of activity per week. Be as detailed as possible. Note how much time you spend emailing customers and prospects, reading industry-related news, making follow-up phone calls, eating, putting out fires, etc. If you get up out of your chair, it probably means you need to make note of that in your log. You may not be surprised to know that you’re spending only a small fraction of your working time doing what you define as “work”. Studies have shown that the average employee does only 1.5 hours of “work” per day. The rest of the time is spent talking to co-workers about non-work related things, taking coffee breaks, eating, shuffling papers, and sometimes even texting on the phone. The average full-time office worker doesn’t even start doing real work until 10:30 am and begins to shut down and get ready to go home at around 4:00 pm. InfoFlo CRM Software allows you to attain and maintain optimal productivity levels with its Task Management feature. It allows you to create time-sensitive tasks and organize them into lists. As well, it enables you to create sub-tasks, add notes or files, and delegate tasks to other members of your team with ease. Download your free trial today.